TJD Dry Carpet Cleaning - Cleaning Services based in Calmore, Hampshire. Hi, my name is Derek. A sole trader not part of a franchaise, Owner/Operator of TJD Dry Carpet Cleaning offering a Professional, Friendly, Reliable Carpet Cleaning Service that is Totally Dry. Deep cleaned & ready for immediate use. Safe for all carpets. Environmentally responsible. Removes Dust Mites, Pet & Other Allergens. For a thorough deep clean with no down time on cleaned areas please contact TJD Dry Carpet Cleaning. 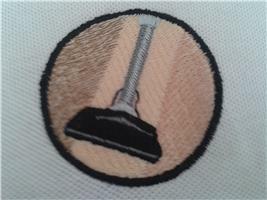 TJD Dry Carpet Cleaning also offer an Upholstery & Leather Cleaning Service.. Please note that I have recently moved from Lymington to Totton but will still be covering all the same areas & more. Distance is not a problem.